One has to do a job and reside in the US for a period of 6 years on an H1B visa, to find an employer who is ready to offer him sponsorship for PR here, even after which the process can still take 15 years. However, a US organization called Cato Institute has yielded a new report, as per which 151 years, is the required waiting time for the Indians who have a Masters degree to get the US PR. This immense waiting time is due to the number of immigrants who are now in line for the US PR(632,219), since April 20, this year. It’s actually true that getting the Canada PR is an improved option as compared to getting the PR of US. The PR of US takes a long time, due to the demand which exists for living in this country. However, the candidate cannot have a dearth of jobs anywhere whether it’s US or Canada in IT. The right procedure for going to the US consists of getting an H1B visa, from any employer who has a company there. The H1B visa is granted to an Indian employee provided a US firm is ready to hire him. He must be hired in an occupation which requires him exclusively. So, if you are well qualified and experienced that an employer decides to get you to the US, the H1B visa is your ticket to get to the US. Simple to get this visa, once you have a graduate degree and no problems arise. The candidate should have some experience in his field of work and it’s not tough getting the employer to sponsor him. However, an H1B visa is a nonimmigrant visa which allows you to live in the US only for 3 years. After 3 years, the candidate’s HIB visa gets stretched for up to 3 years more. Apart from that, the US government has just allotted a certain number of visas for H1B visa aspirants, which cant go beyond 65,000. No such quotas exist for Canada PR. Getting the H1B visa is a cumbersome process which involves the employer to get the approval from the Department Of Labor for your work-related immigration here. After this issue, this Department Of Labor certificate needs to be filed with USCIS to get the I-797 after which your employer applies for H1B through the American consulate. This is a tiring process and even after going through this, you cant get the immigration to the US. While spending 6 years in the US on an H1B visa, if the employee is able to get an employer who is willing to get the PERM labor certification(10-15 years), for him, he can easily apply for PR here. But availing this certification is time-consuming, before the petition which has to be filed to get an approval for your immigration here. If he is fired by the employer during his tenure, he must get another employer so that his H1B status continues or will have to leave the country of US. As compared to this, the candidate can get the Canada PR at one go without residing, here. The candidate needs to file his PR application which if found apt by the IRCC gets him to live there. Canada PR can be obtained with the right consultation if that’s available to you. A Canada immigration agency can help you sort your troubles related to getting this visa. Also, the time which is required for the Canadian immigration is quite less. The candidate just needs to know, how well he is suited to get to Canada based on his education, how old is he, the experience of how many years(at least 3) and his IELTS bands. All these factors make him get the entry into Canada. So, you can see the PR norms of Canada are not so rigid as compared to those in the US. Canada provides a harmonious life for everybody. The government takes care of everything including education. If you opt for public schooling of your child, everything is free. So, until high school, you can make your child study free of cost in Canada. Although public schools also offer free education in the US, in terms of quality, Canadian education is better than US education. 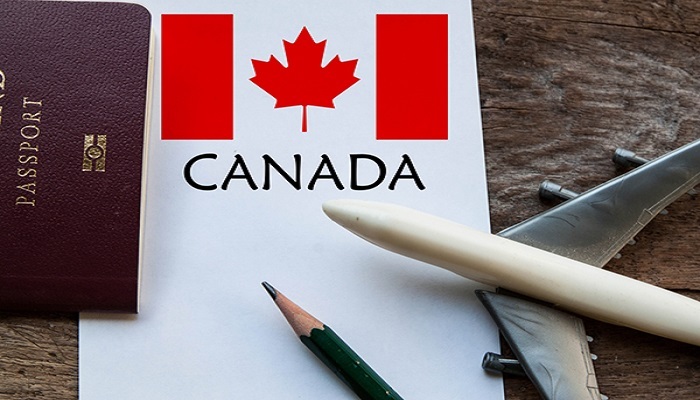 According to a survey conducted by, Pearson on the various education systems in different countries in the world, Canada had the 6th rank and US, had the 13th rank.